Ensure that people everywhere understand how much older people contribute to society and that they must enjoy their right to health care, social services and economic and physical security. We have been with elderly since 2006 and seen them live aripe life of joy. A world in which all older people lead dignified, active, healthy and secure lives. -	Regular visits to elderly homes, giving moral, social and spiritual encouragement. -	Organising clubs for sharing and skills development. -	Providing age appropriate emergency relief. The elderly in Uganda are neglected and isolated only depending on well- wishers. Most of the time they are in grief and sorrow, lonely in their homes basically after the demise of their children and others going to work in the cities. The elderly live in absolute poverty, disease and most of the times sleep on empty stomachs. More still, others were left with grand- children whom they have to feed, educate and treat. This situation propels us to intervene and save the situation. 1. To mitigate the negative effects of the current social and economic transition in Uganda by supporting the development of a private sponsorship system for the most vulnerable elderly in the country. 2. To build the capacity of societal people looking after the elderly in social, health and economic aspects of life. 3. To improve access to food, housing and sanitation among the elderly and their families. 4. To improve the health of elderly by enabling them access medication for the manageable diseases. 5. To create opportunities for community involvement in the care of the elderly. WAZEE SUPPORT ORGANISATION works in Uganda East Africa and concentrating in the areas of Masaka, and Kiboga. These were hit by HIV/ AIDs and the liberation wars of 1986 respectively. We are currently supporting 106 elderly people. 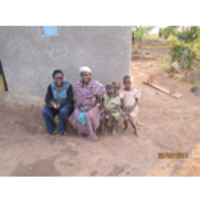 WAZEE SUPPORT ORGANISATION works with the poor elderly in the rural communities of Uganda aged between 65 and above. We aim at providing age appropriate and relevant programs to our people. Having realized that the bodies are weak and prone to diseases, CICED comes in to save life. They are mostly affected by malaria,water-borne and nutritional related diseases. Through our health project we aim at ensuring appositive, disease free lives of the elderly. We focus on the body, mind and soul hence a holistic person through;. -	Ensuring that the elderly are informed of the basics of hygiene, how to look after their bodies even at old age. -	Providing safe water containers/Tanks to solve the problem of water borne diseases and also enable the elderly harvest the rain water which is safe and clean. -	Carrying out health screening and providing home based care/treatment dubbed, “treat the root”.In conjunction with volunteer medical personnel, we treat manageable diseases which reduce the burden of going to distanced medical facilities. This is done every quarter of the year. -	In abid to reduce and fight malaria, we provide treated mosquito nets and ensure that they sleep in it. Also, providing anti-malarial kit to families with orphans. -	Engaging the elderly in fitness exercises to keep the bodies healthy. During the social gatherings, we spare time of interaction and play. Elderly people freely interact with their Grand -children (Jjajjas). -	Educating the Elderly and other people about Nutrition and healthy foods. Gemimah is an elder in our reach, she has a two roomed house made out of mud and wattle and roofed with banana fibre. She constructed the house after the death of the husband and still had the energy and could repair it very well. Now she looks at it falling apart day by day, she can’t make the mud and even climb to repair the roof. The house is the bedroom and also the kitchen for the family. The roof is leaking to the extreme and when it rains, they forego sleep. Many of them in our reach are in the same situation like Jemimah and worst of all they don’t have toilets. WAZEE SUPPORT ORGANISATION seeks to help such people have a decent living by providing a modest three roomed house with a latrine. We encourage the community to participate in improving the living conditions of their fellows by contributing cheap casual labour ,water and digging the pit latrine. In CICED we believe that a healthy body is determined by enough and decent sleep. CICED mobilises the rest of the materials like sand, bricks, cement and technical labour. A simple house costs only 3000$ with a pitlatrine. After discovering that most of the elderly people sell their property especially land to solve simple problems like diseases, many are exploited and abused, hence die in agony. Our aim of having Independent elderly community can be achieved by tapping and enabling entrepreneur skills amongst our beneficiaries. WAZEE SUPPORT ORGANISATION encourages group work and carries out focus group discussions to identify the abilities of each elder. We engage those who have not lost sight in handcraft which they do very well for example making baskets, mats, hats, table mats , bags etc. The families with orphans are provided with a goat to improve the income and educate them. The elderly men keep chicken basically to provide eggs for nutrition and also for sell. We also empower them to grow simple crops like vegetables and fruits which don’t need much effort but can bring in some income. Our is to empower and enable, so we provide weaving materials, therefore JOIN US TO IMPROVE LIFE. WEAVING MATERIALS costs only 20$ for one elder. Change life now and create asmile to that face. “I gave birth to 14 children, 9 never lived up to age 10. Those who survived death 4 went missing in the war of 1986 and I remained with only 1.He is poor and unable to help, he got stroke and the left side is paralyzed. I have to look after the children for my children” Kinganabusha breaks in tears. “I am lonely in the house, they neglect me because of this Leprosy, I can’t carry a jerry can, neither dig, God only knows, even children don’t want to help me fearing their parents to punish them for coming to a person suffering from leprosy” narrates Okongo. WAZEE SUPPORT ORGANISATION aims at bringing back hope to the hopeless as above, reduce isolation and neglect amongst the elderly. The elderly wish to die because of neglect, abuse, isolation, and loniliness. We carry out missions, Outreaches, and festive parties to break the isolation. We prepare a neutral and accessible place for meeting and enjoy, freely with each other. WAZEE SUPPORT ORGANISATION mobilizesclothing, food items, and other household items for the elderly which are distributed during these gatherings. WAZEE SUPPORT ORGANISATION encourages families to ‘adopt’ an elder and provide company from his /her home in form of love. (LOVE SPONSOR). Did you know a visit to an elderly makes his life double and face shine. WAZEE SUPPORT ORGANISATION has a vibrant outreach team and councilors who do the work voluntarily and we still want to expand the base. WOULD YOU LOVE TO RAISE HOPE OF SOME BODY? -	Join our Volunteer team and reach out.